Big Ranch Style Home~with All The Extras! Everything On the Main Floor! "Gleamingly" Clean - Perfectly Maintained Home! Brand New Exterior Paint! A Dream Kitchen with Beautiful Cabinets-That Offer Roll outs -Huge Butler Pantry! 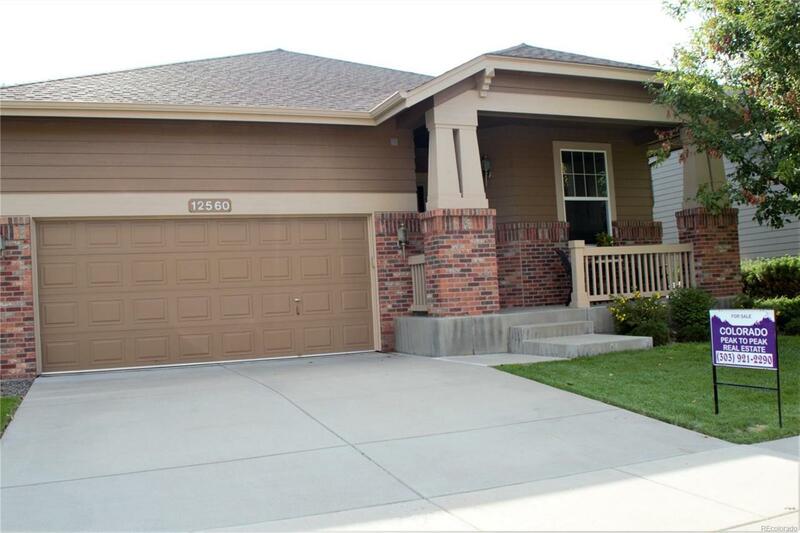 Upgraded Granite Counter-Tops, Large Eating Space- Shining Hardwood Floors! Sliding Door To Covered Patio with Trex! Plus A Formal Dining Room! Great Room with Fireplace! Study/Media Room with Beautiful Beveled Glass Doors/Could be 3rd Bedroom-Designer Interior Paint! Elegant touches Throughout! High Ceilings-Ceiling Fans! A Master Suite with Super Sized 5 Piece Bath & A Walk-In Closet! 3 Tube Skylights! Quiet Street! Near Large Open Parks & Wonderful Walking Bicycle-Trails! Newer Carpet! Big Garage with Shelving & Workbench! This comfortable home is the epitome of convenient living. Plus A BIG Full Unfinished Basement ! Association Name Primary Crofton Park Master Owners Assoc.